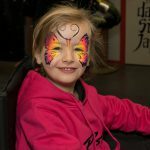 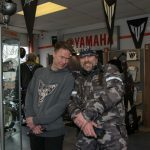 The weather improved a little as the day went on, but it remained cold- so well done to you all that braved it and rode to visit. 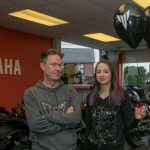 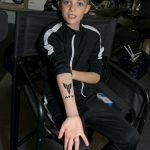 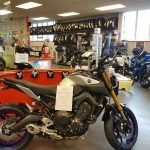 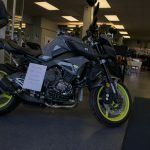 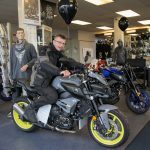 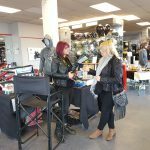 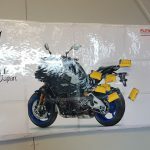 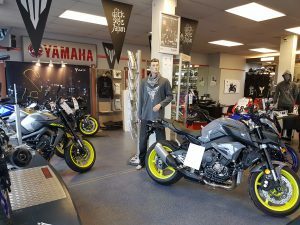 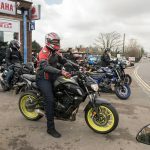 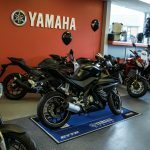 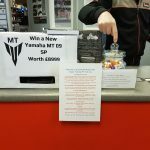 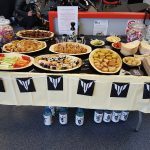 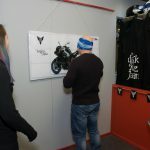 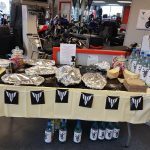 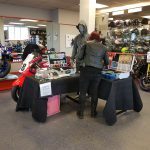 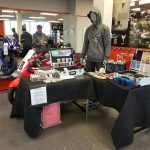 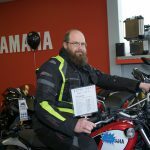 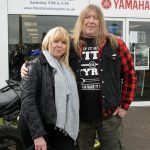 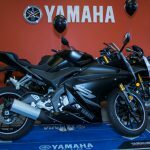 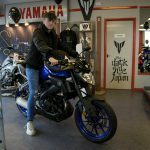 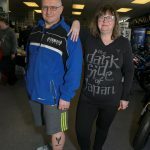 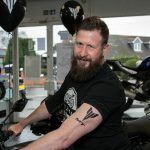 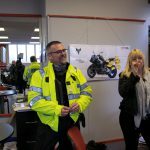 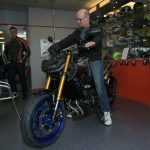 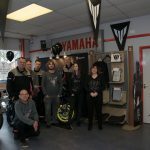 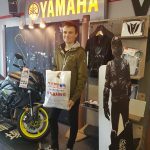 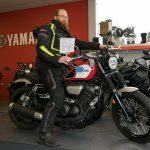 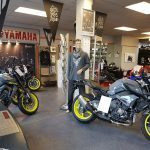 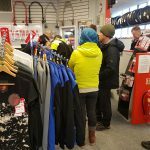 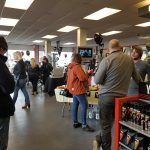 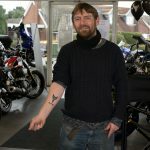 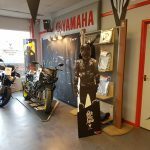 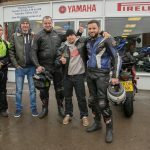 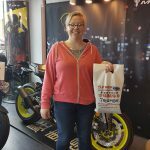 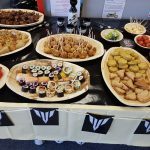 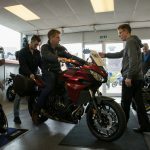 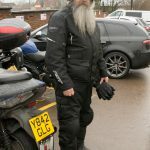 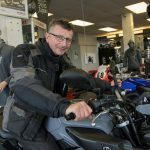 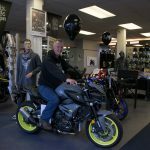 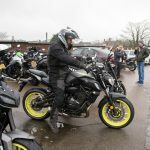 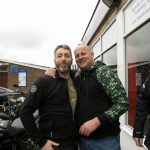 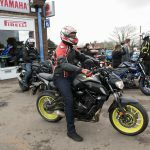 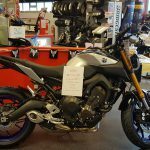 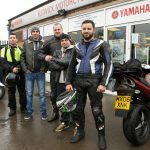 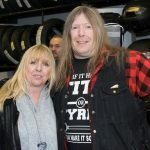 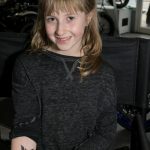 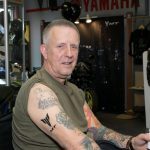 Nearly 30 of you took a test ride, some of which collected a Yamaha MT Goody bag courtesy of Yamaha Motor and nearly 90 entered the ‘Win a Bike’ competition, so the day was a resounding success and I hope you all enjoyed yourselves. 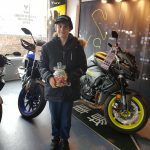 Congratulations to our winners on the day, Charlie Goddard, who won the Easter egg Jar, Izzac Anstee, who beat Dad Mark to take 1st price in the pin the number plate on the MT competition, with Steve Bradbury and Joanna Goodwin in runner up slots, and Colin Lawrence who was so close we had to give him a consolation Prize. 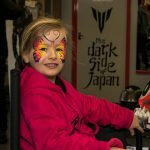 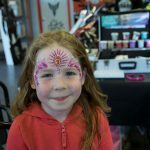 We loved giving out giveaways to the children in attendance, and hope the Origami sets, cars and lucky Japanese cats went down well. 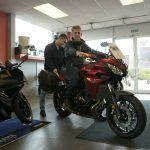 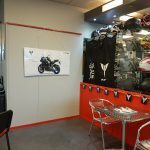 For those that would like to test the bikes in a more relaxed bespoke way, with dry roads just give us a call on 01525 712197, and ask for Saul, Carole or David to get booked in..
Our thanks go to all our hard working staff, Will Curry and Geoff Hoptroff who valiantly rode as outsiders all day to keep the test groups on track, Pierangela Manzetti from Pierangela Hair and Makeup who did such a wonderful job with the tattoos, face painting and pictures.. Yamaha Motor N V (UK) and of course you our valued customers who are so so important to us – we hope you all had fun!